Hunter has sired numerous Champions, other get with AKC titles ranging the entire spectrum of the sporting breed, and many true personal hunting dogs, assistance dogs, and companion dogs. 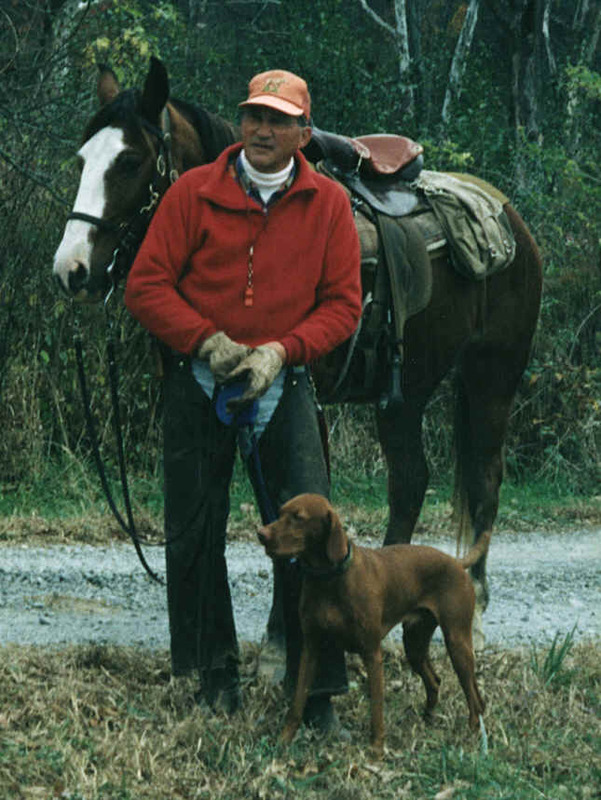 He has sired 11 Master Hunters; first Vizsla ever ranked simultaneously in the Top Ten Derby and Amateur Gun Dog standings; awarded NFC, DCH, AFCH, & MH titles before he was 3 1/2; first DCH to win the UDX title; finished his CH title with back-to-back five point majors; and was the Iams representative for advertising their newly formulated Eukanuba dog food for seniors. A truly versatile Vizsla!